Beautiful environments begin with well designed cabinets. The charm of elegant woodworking contributes to the appeal of many lovely homes in Chester County, Pennsylvania and outlying areas. 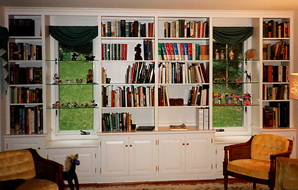 If you've considered adding window wall units to your residence, including fine custom built in wall units, contact T.L. King Cabinetmakers for assistance. 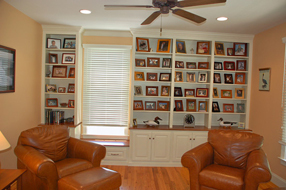 You'll enjoy a great selection of well-built wooden shelves, cabinets and furniture. 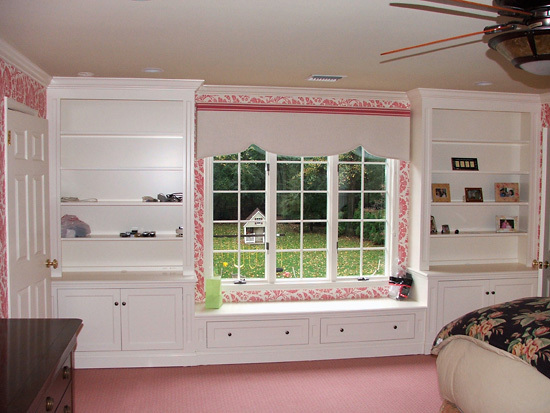 By relying upon attractive custom wall units, you'll have the ability to optimize the use of space in your home. During previous eras, architects often placed built in storage chests and loveseats beneath windows. 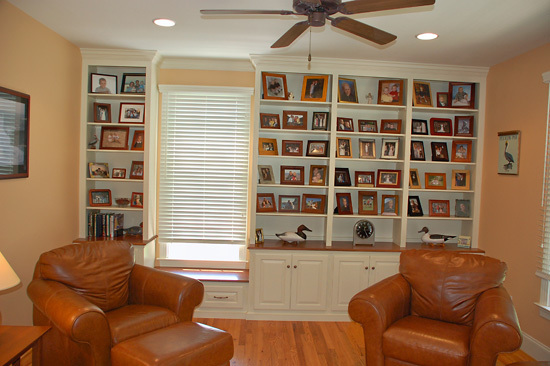 These locations also supply the perfect spot for cabinets and bookshelves. 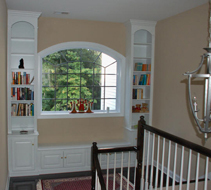 When you require assistance implementing these important modifications, you can trust the skilled woodworkers of T.L. 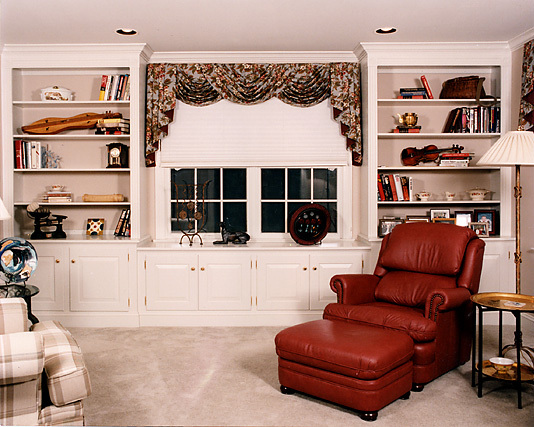 King Cabinetmakers to complete your project according to your expectations. Have you ever noticed how finely polished wood contributes to the opulence of some business premises? Now you can enjoy luxurious, convenient work spaces at home, too. Choose custom computer desks & home office cabinets built to your specifications. Employ the floor space beneath home office windows as locations for permanent cabinets, seats, tables, countertops or other unique, useful décor items. Window wall units also provide a way to decorate a stunning custom home library. 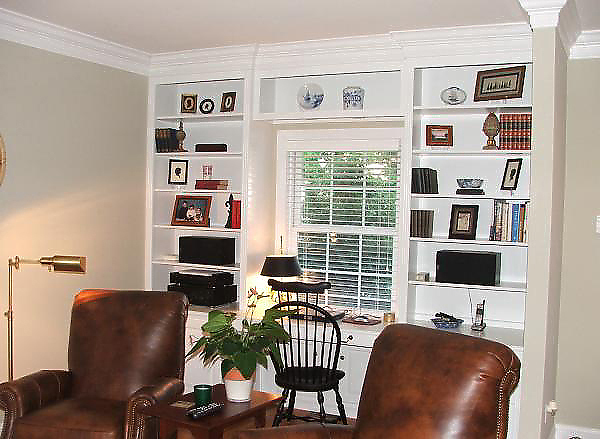 Use these features to transform an alcove nook into an entertainment center, or to craft a comfortable reading room or study from a spare room. 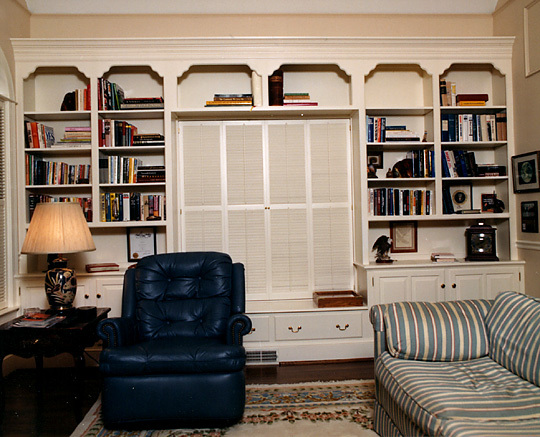 Obtain solid, carefully constructed home library bookcases your family members will cherish for generations. 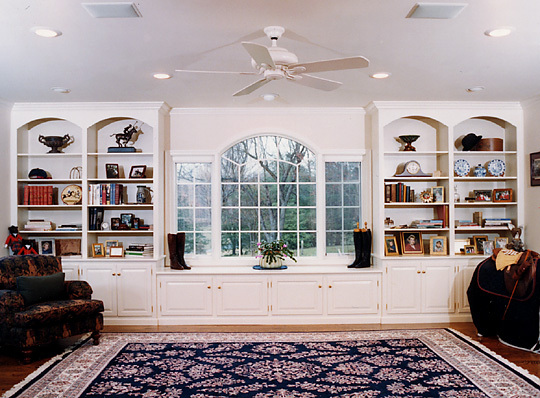 As experienced custom cabinet makers, the craftsmen of T. L. King Cabinetmakers have helped bring joy to many Chester County households by creating superb built in wooden features. These items meet each customer's personal goals, while fitting a home's unique floor plan and interior design in a memorable way. Simply request the use of specific wood grains, styles, and finishes when you place an order. You enjoy total control over the customized products crafted for your residence. Contact T.L. 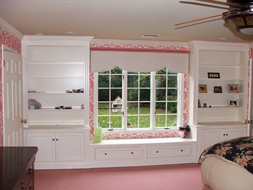 King Cabinetmakers for Custom Window Wall Units & More! Do you appreciate the allure of fine woodworking? T.L. 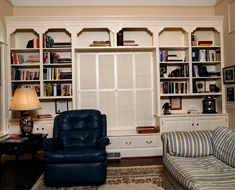 King Cabinetmakers offers beautiful, high quality built in shelves and cabinets in this region of Pennsylvania. 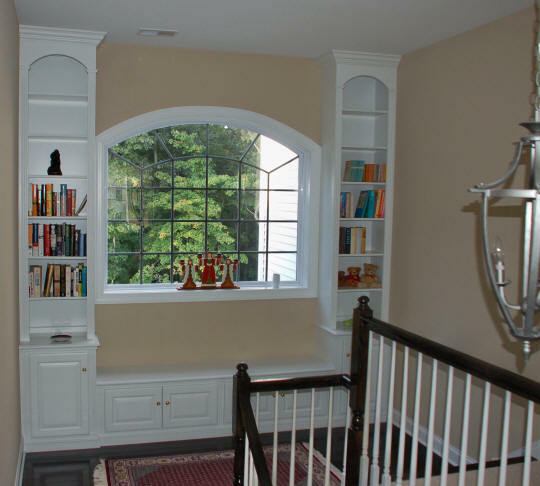 When you seek any window wall accessories, including built in window chests, benches, or custom library bookcases, consider requesting the services of experienced woodworkers. Contact us T.L. 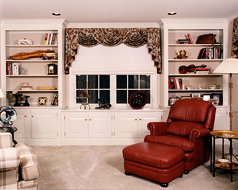 King Cabinetmakers for personalized assistance.